Word just came in that Karl Kalb, owner of Microglass, has passed. 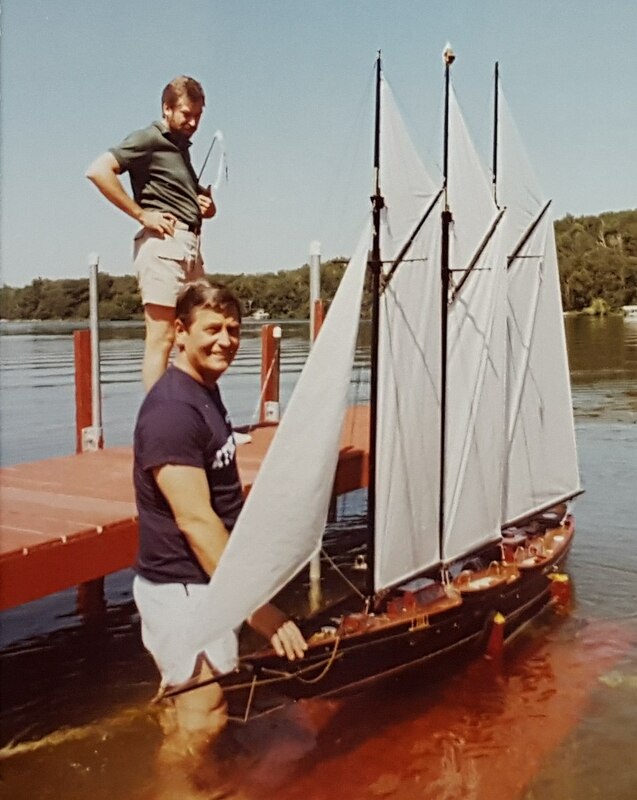 Karl made some of the finest hulls in the hobby, and enjoyed every minute of it. Thanks for everything Karl! That’s a four-foot rule laying in front of the hull. 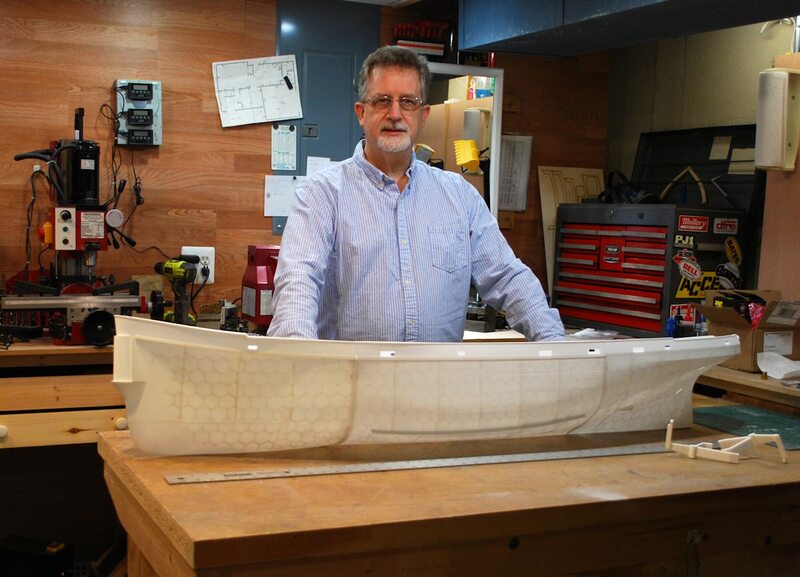 OK, I don’t know what the largest 3D-Printed R/C model boat might be, but I’m unaware of any that are bigger than this one… it’s certainly the biggest printed assembly I’ve ever dealt with. Know of larger examples? I’m happy to feature them here! 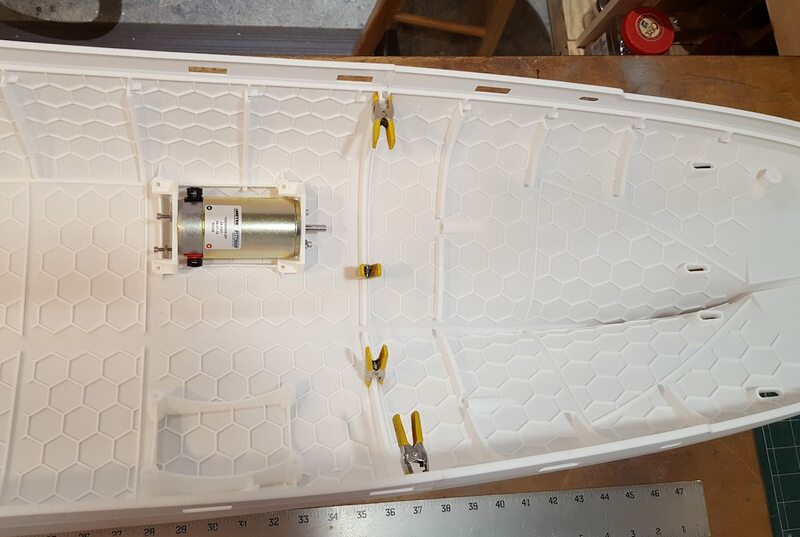 This is another commission build, and we decided that a printed hull, even with its additional purchase cost, was competitive to the time and labor required to build such a hull in wood or fiberglass. 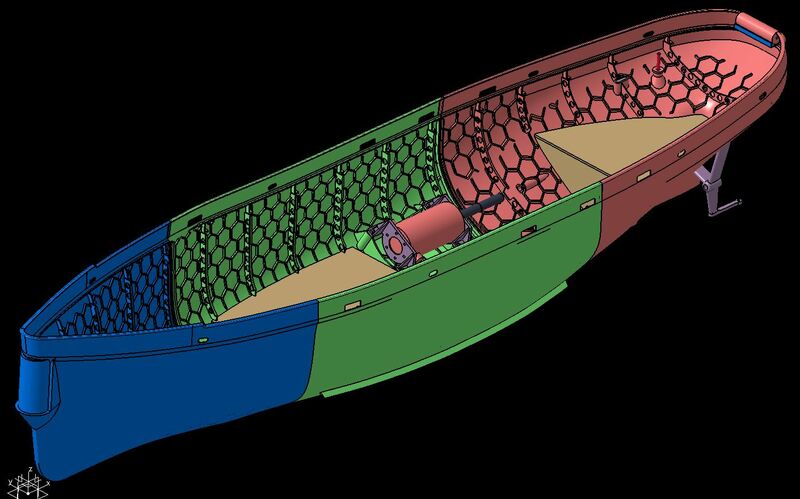 Due to printer size limitations, the hull is printed in three sections and assembled with tongue-in-groove mating joints. 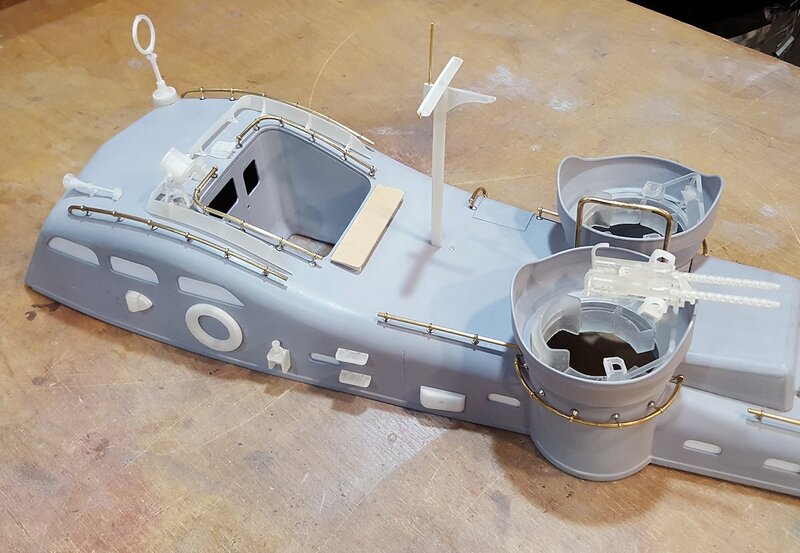 And unlike building with a fiberglass hull, the printing process allows for internal details to be included, such as precision-aligned motor mounts, deck beam seats, deck lip, and integral reinforcing structures. This build is in-process; you can follow it on RC Groups. Outer surface of hull is recreated in 3D CAD from original shipyard drawings. Details are added, including the internal reinforcements. And the details are exactly reproduced in the final 3D Print. 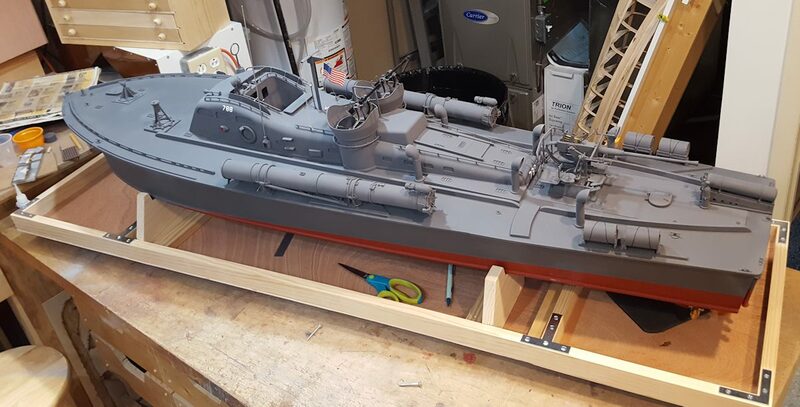 My latest completion: A 77-foot Elco PT Boat in 1:16 scale… that works out to about 5 feet long. 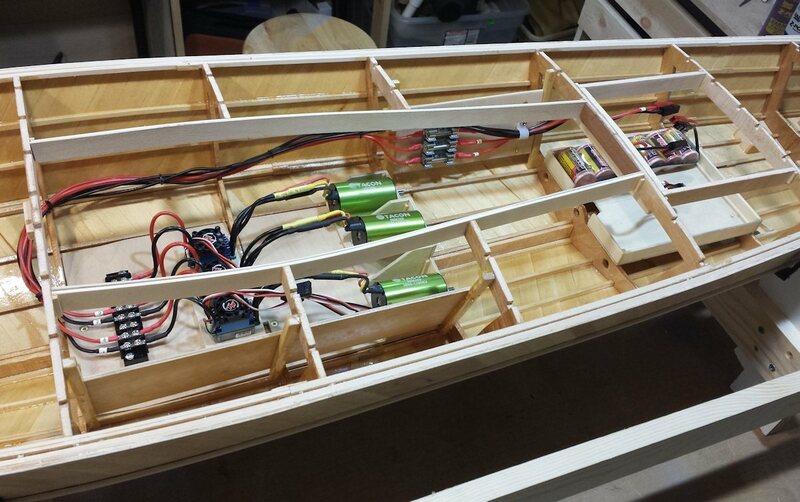 The model uses a mix of technologies– traditional wood hull (plank on frame), with numerous 3D Printed detail parts… including the large aerodynamic cabin structure. The full build is detailed at RC Groups, but here are some highlights (click on any image to get a larger version). Authentic pattern of dual-diagonal planking laid over stringers and frames. Interior of hull can be seen here. Easier to install the triple drive train prior to adding the deck! Triple cast-bronze props- like jewelery! The electronics package includes a microcomputer with custom control of the triple speed controls. 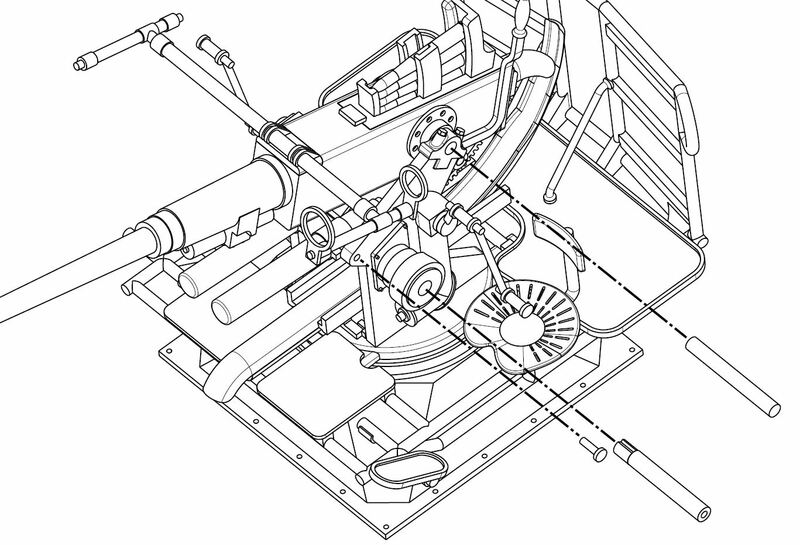 The operator can “turn in place” with counter-rotating wing props by merely turning the steering wheel at zero throttle. A look at the electronics center. 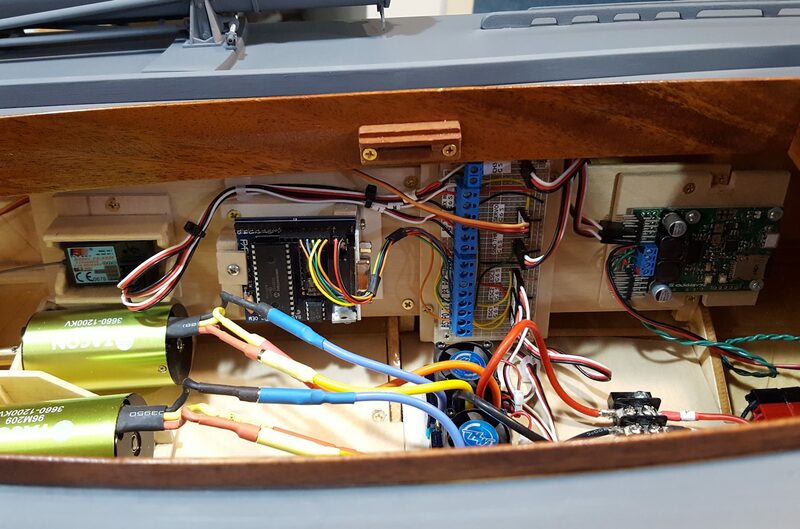 From the left: Receiver, microcomputer, junction board, sound system. 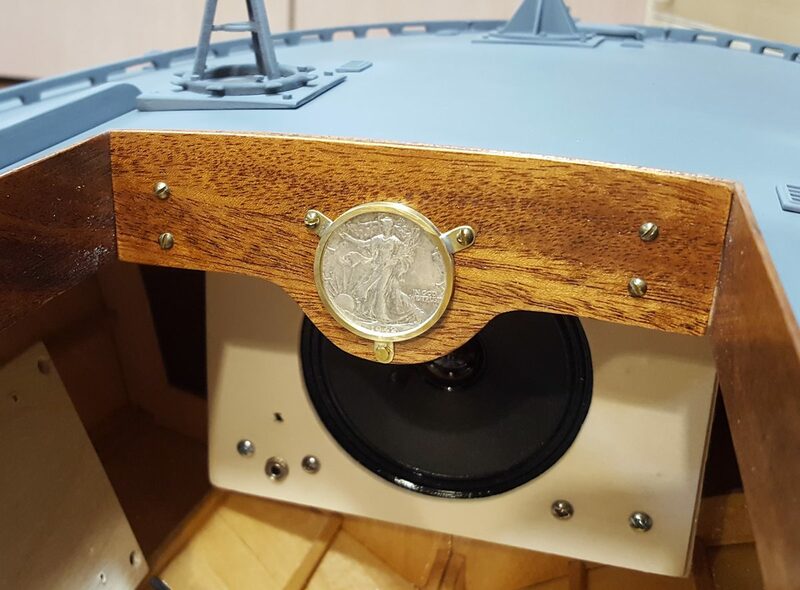 A nice touch- some 1942 silver to commemorate the original boat’s construction date… mounted on varnished mahogany of course. 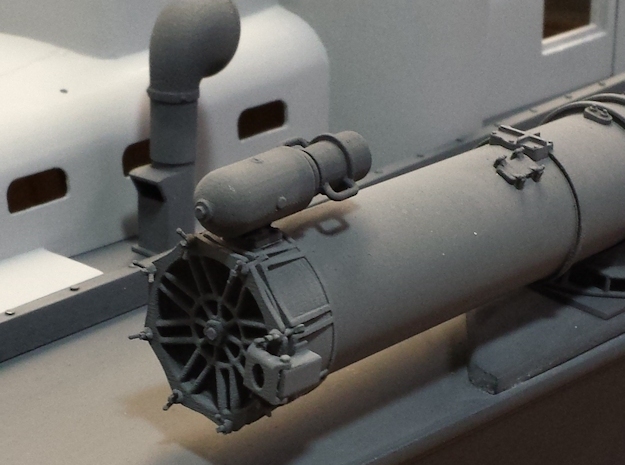 Some of the 3D Printed details: 20mm and 37mm cannons. 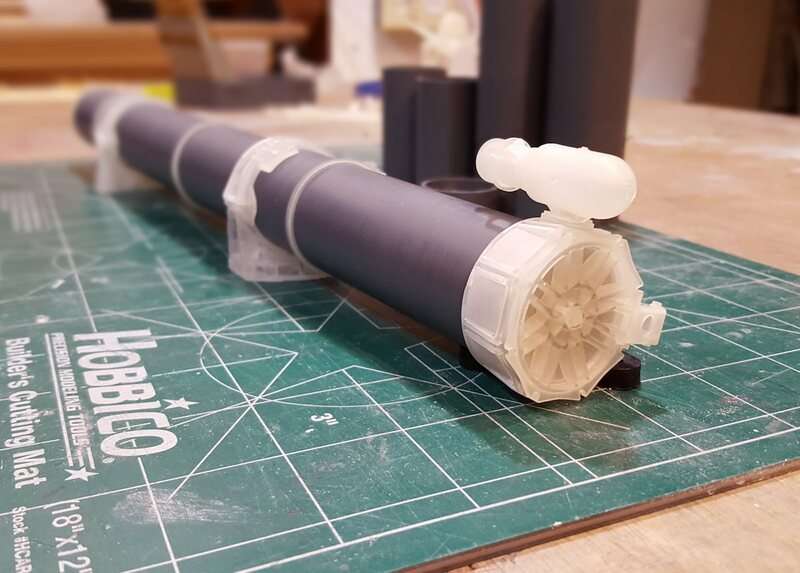 A mix of 3DP details and machined PVC bars makes up the accurate torpedo tubes. Cabin is made of 3D Printed nylon- very strong! 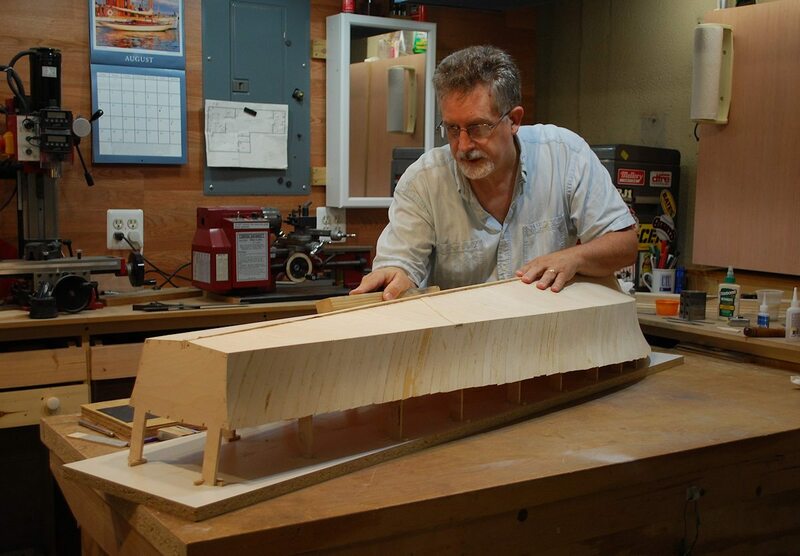 And designed in CAD for a perfect fit to the highly cambered and sheered deck surface. 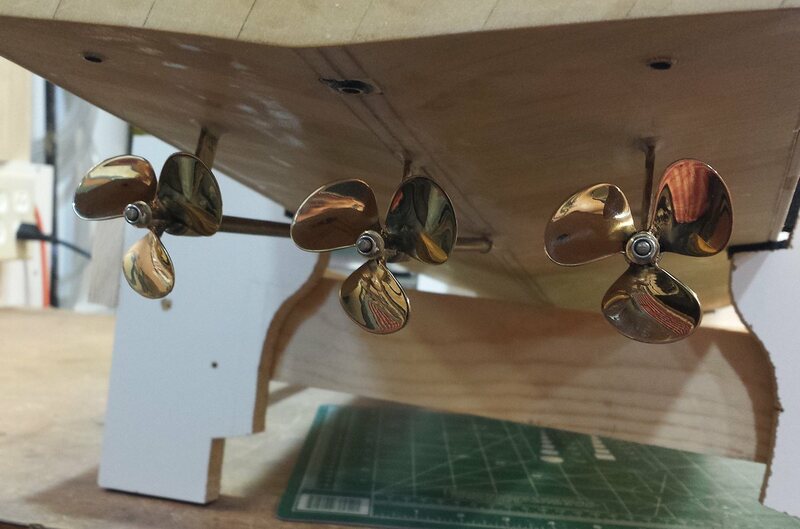 A mix of 3D Printed details and hand-made brass railings on the cabin. Example of how the finely designed weapons can look with the painted finish. 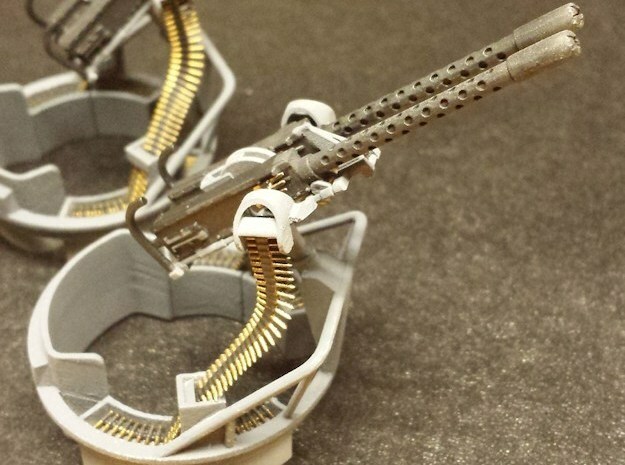 Even the ammo belts are 3D printed! Models are carefully crated for shipping. This one arrived unscathed, even though the crate absorbed obvious abuse in shipping. Videos: Maiden voyage, and demonstration of the sound system. 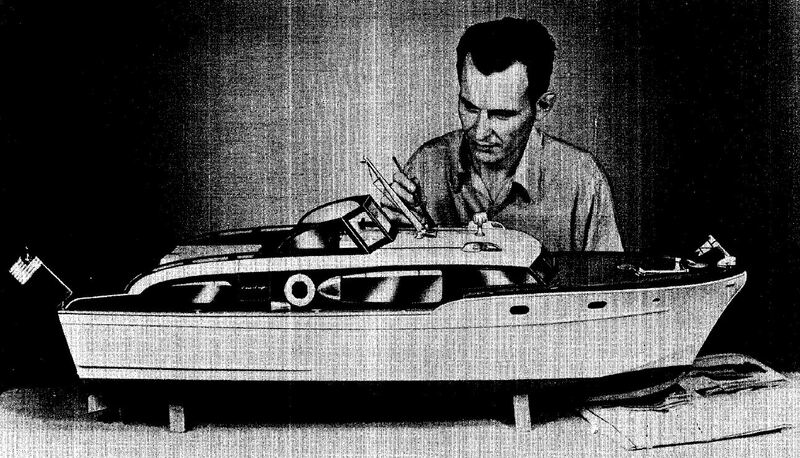 While Sterling Models is long gone, several of their model boat kits remain alive and popular in the form of scanned plan sets. 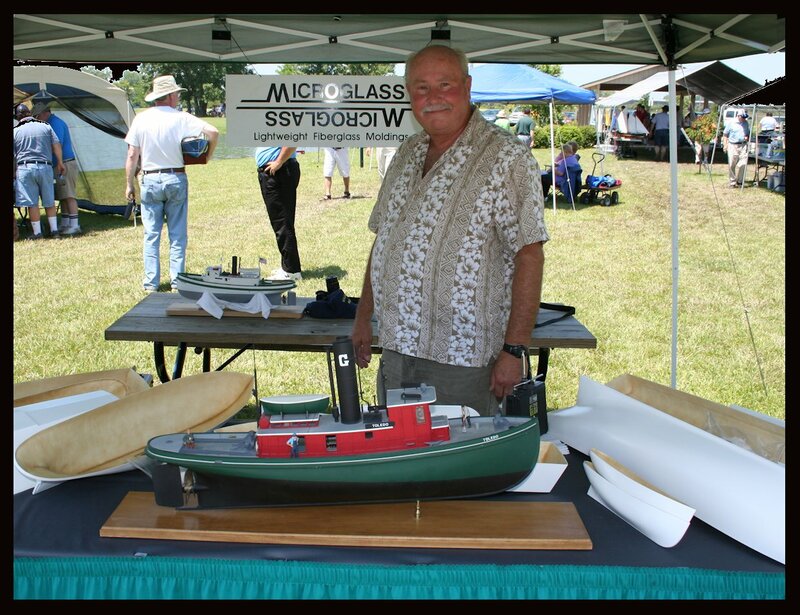 One of the favorites is the 42’ Chris Craft Corvette in 1:10 scale, which makes a handsome and impressive 48 inch model. – Lots of weight—the Corvette B15F fittings set weighs nearly 2 pounds, most of which is placed up high on the model. So, I’ve put 3D Printing to work to offer improved replacement parts for the 42’ Corvette. I started with an original fittings set in mint condition (as good as that might be), and reproduced each fitting in CAD. 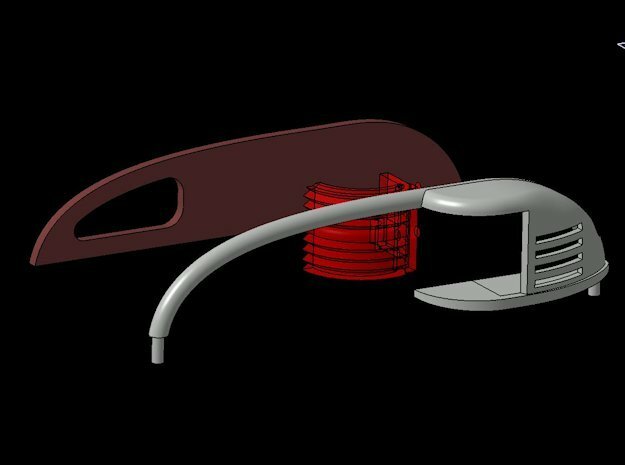 Then corrections and improvements were made—for example, adding the correct curvature to the big side vent scoops, making the nav lamps “lightable” (instead of solid chunks of metal), and adding better mounting bosses to most all the fittings. And the parts are significantly lighter, with thin walls and plastic construction. Then I broke the set up into chunks to help affordability. When you have the right tools and adequate volumes to justify the tooling investment, it’s inexpensive to produce sets of fittings in white metal with centrifugal casting. 3D printing allows us to avoid retooling and to better support low volume orders, but at a price. So with the sub-kits, you can order what you need. 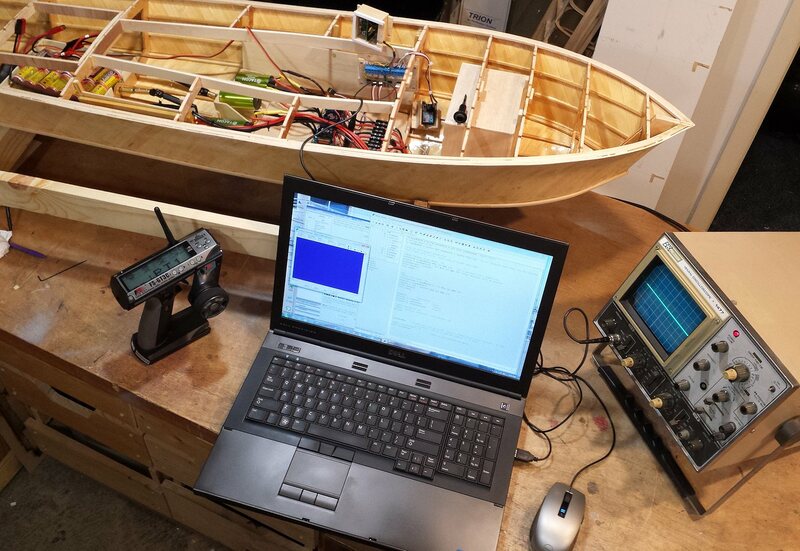 If you feel that you’d prefer to build the big mast in wood yourself, or make your own 2-inch life rings, there’s no need to order those parts in expensive 3DP materials. You’re welcome! 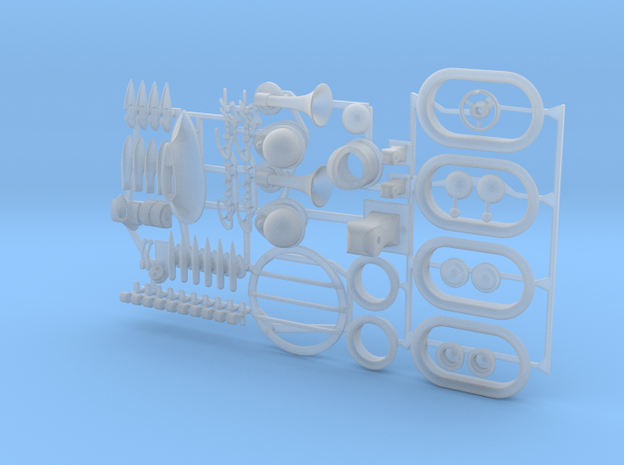 All of the parts are offered in Shapeways’ “Frosted Detail” plastic. This is a UV-cured acrylic that can hold fine details, but which is somewhat brittle and which requires some extra attention… more on this, below. This material can be painted to a pretty good representation of chrome using Alclad II chrome lacquer. 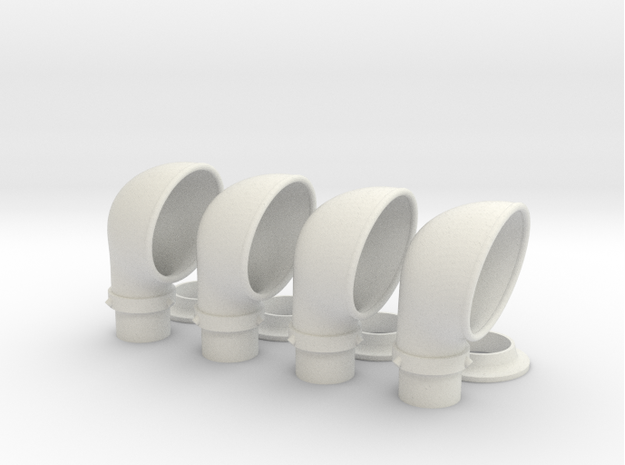 A few of the parts are also offered in Shapeways’ “Strong Flexible” plastic. This material is, well, strong and flexible, but is also gritty and porous, and is harder to paint. 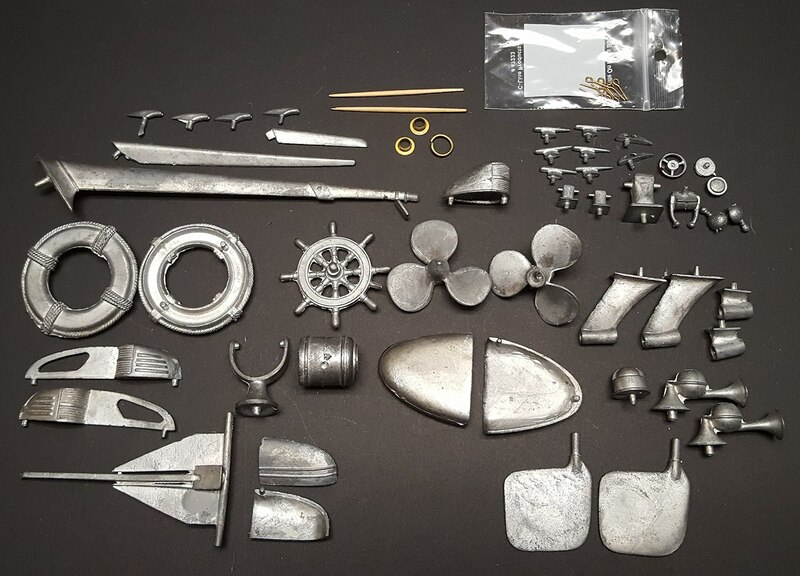 And yet some more parts are also offered in real brass and bronze. These parts use 3D-printed wax patterns, which go into a “lost wax” or “investment casting” process. The parts can be polished and nickel plated yourself, or you can have Shapeways do the polishing (the nickel is still on your nickel). You’ll see the parts there, and a helpful document which outlines each part and which set it can be found in (look for the READ ME section). 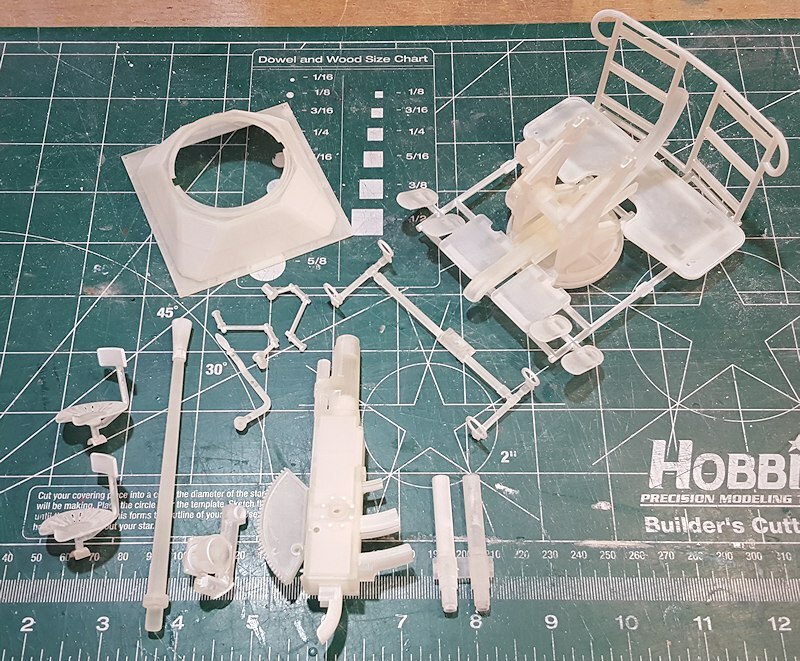 There’s also more info on prepping and painting the parts. Let me know what you think, and if there are any other variations you might be interested in. 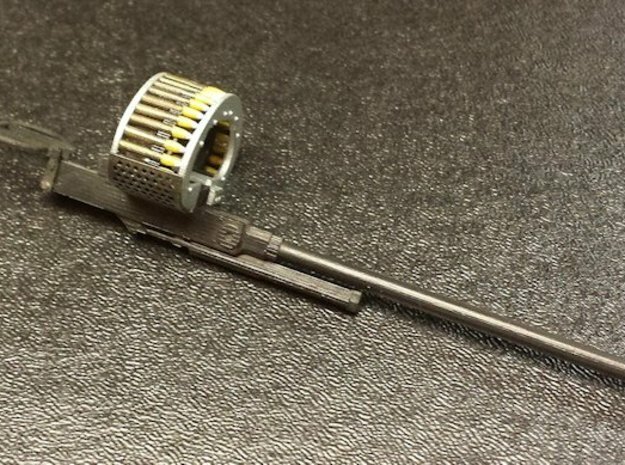 Looking for upgrade weapons for your Dumas PT-109 kit? 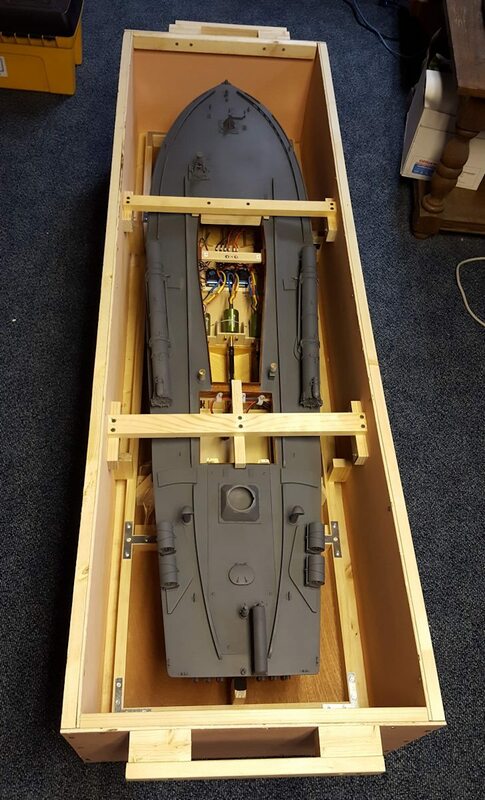 The 48 inch-long 1:20 scale model? 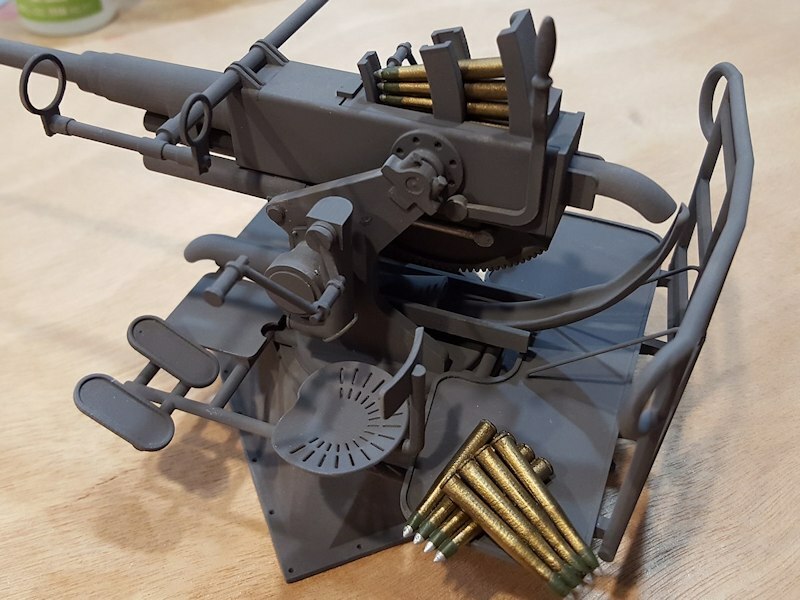 Something more than wood dowels for machine guns? And you’re bummed that neither HR Products nor Mosquito Boat Hobbies’ aftermarket offerings are available anymore? Each has a detailed instruction document, available to download from my store. 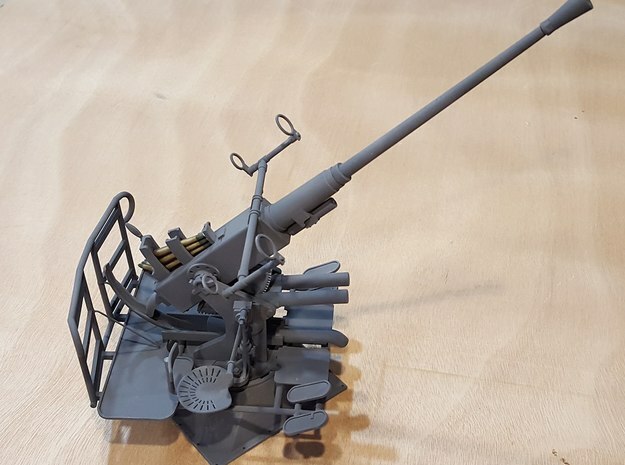 The weapons are also available in 1:24 and 1:16 scale, and can be further scaled up and down as required… except, I usually can’t offer 1:48 or 1:35 and smaller, as many details on these models are already at their smallest printable size in 1:24. 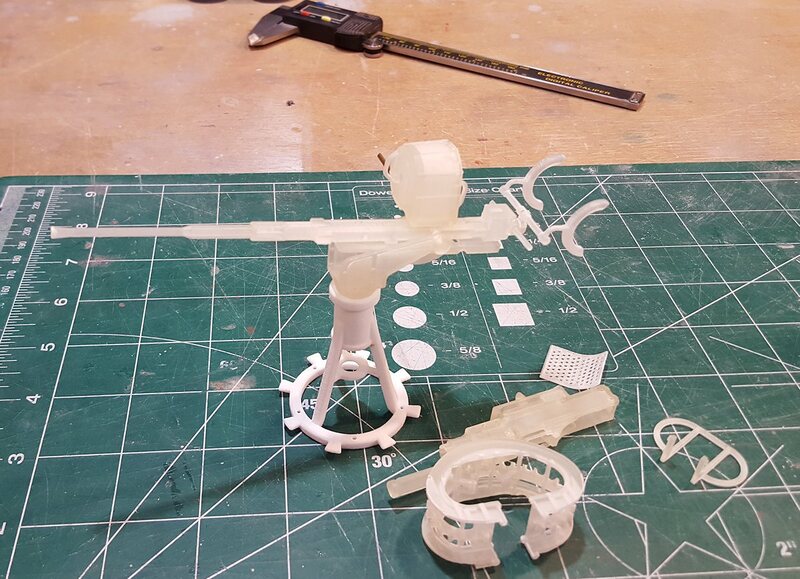 The material used for most of these parts is Shapeways’ “Frosted Detail”, which is a UV-cured acrylic plastic. Please see my document Working with Shapeways’ “Frosted Detail”, posted at my Shapeways shop. Breech door assembly for Mk 18 torpedo tube. 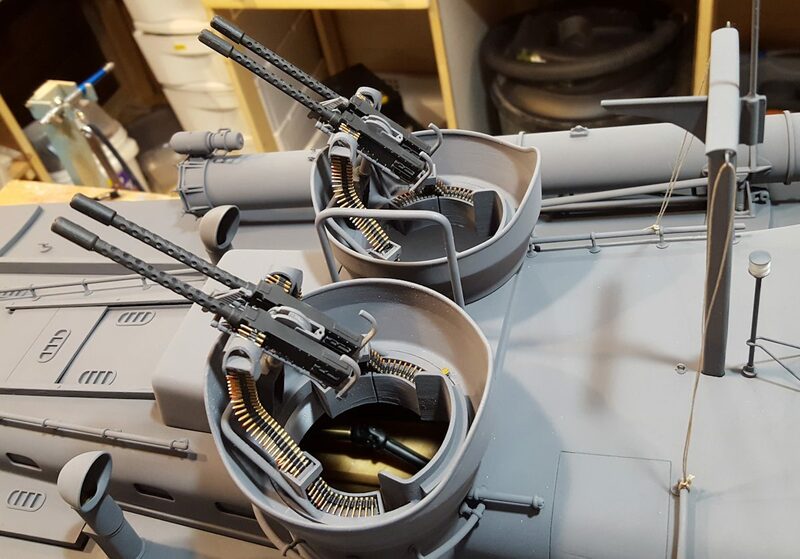 50 caliber Browning machine gun sets, available with ammo belts. Cowl vent hoods… make the rest of the vent with tubing, easy. 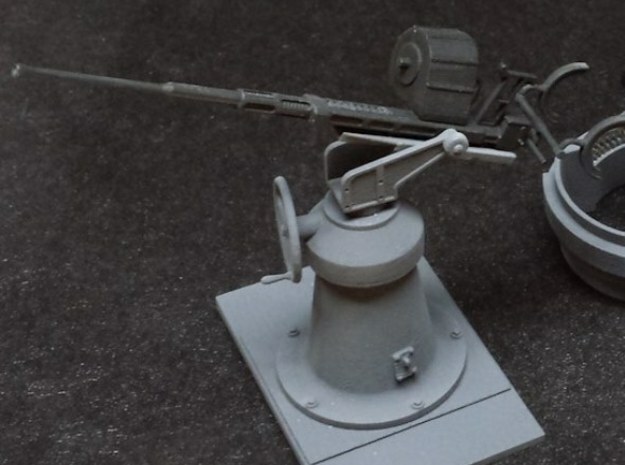 20mm Oerlikon, also available on the new lighter tripod mount. The famous 37mm cannon liberated from Army P-39 fighters. 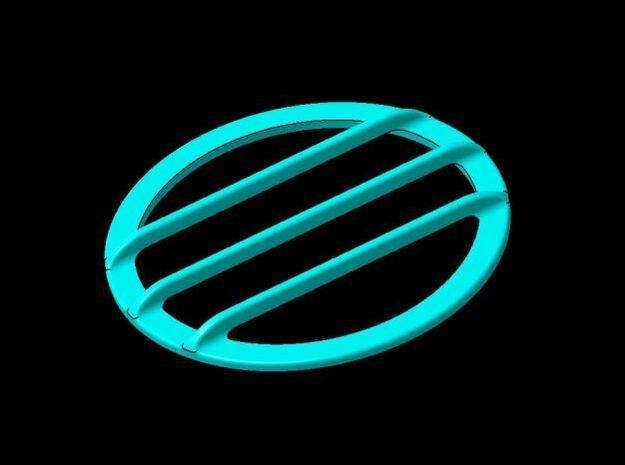 Designed in CAD for you. 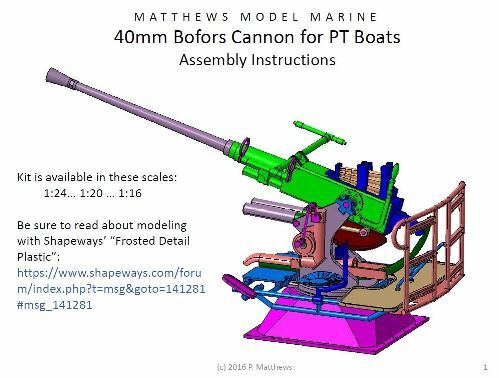 I’ve teased some photos below of a large scale Bofors 40mm cannon I’ve been working on. It is now available at Shapeways as a kit in 1:16, 1:20, and 1:24 scales. (Please don’t wait around for offerings in 1:35 or 1:48, the model as designed won’t go that small). 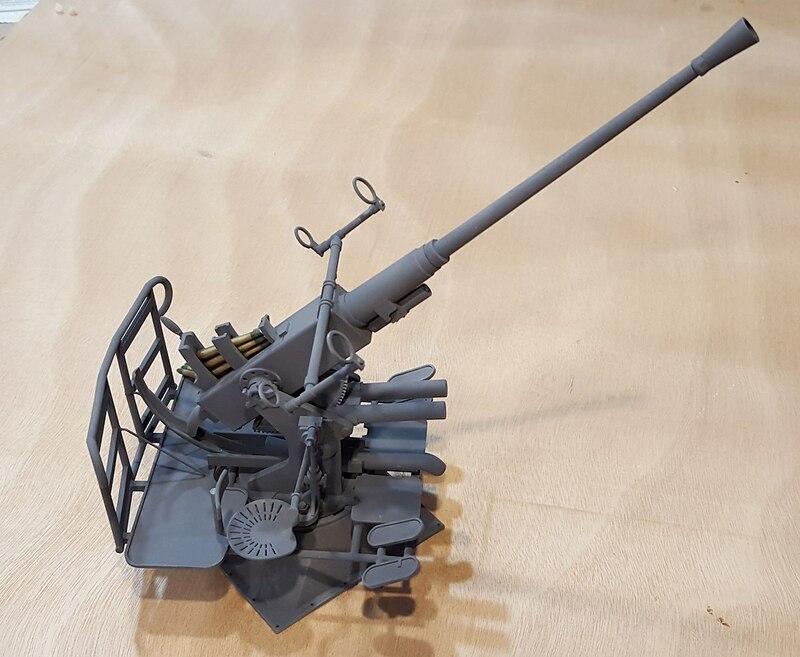 The kit is currently only offered in “Frosted Detail” plastic, a multijet printed medium that produces fine detail, but which also causes these large models to be a bit of an investment– sorry about that! But please see my instructions for working with this plastic, it ain’t the same as your familiar model kit styrene! 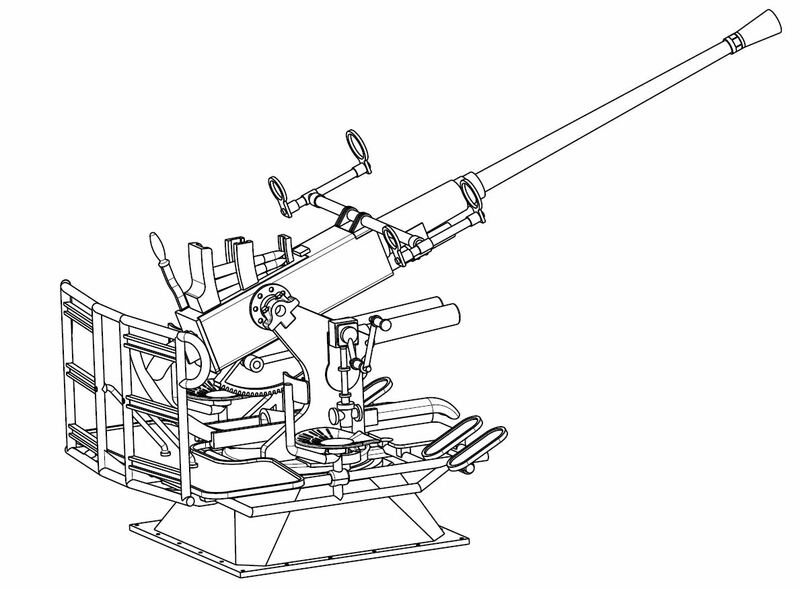 The Bofors 40mm kit also has a complete instruction set, which can be downloaded and saved at any time. The actual 1:16 version, assembled. Instruction manual is available online. Instructions include clear images for step-by-step assembly. Of the various choices for plastics and process at Shapeways, the “Frosted Detail” line is the best for finely detailed parts on our models. But I’ve had issues painting this stuff, such as enamel paints that never cure or flat acrylic paints that cure, but then start showing a stain, as if something oily was wicking into the paint. Frosted Detail is actually made on a 3D Systems ProJet 3500HD printer using their “multi-jet” process. Think of an inkjet print head sweeping back and forth, but spritzing out drops of resin instead of ink. Then add a moving print platform that allows the head to print layer upon layer to build up a 3-D shape. BTW- these droplets are small. Remember when laserjet printers finally removed all the “jaggies” from text and line art? This happened when print resolution finally reached 300 dots per inch (DPI). The 3500HD is capable of printing at over 700 DPI- parts should be near optical quality! But there’s more to this process. Liquid droplets won’t make a solid part, so the resin needs to be cured. This is done with a flash of UV light on every pass of the print head… and herein lies one of our painting hazards. Think of the resin as a bowl of wet spaghetti noodles, where the noodles correspond to the long polymer chains in the resin. The noodles want to stick together… let them set out a bit, and you’ll have a rock hard bowl of pasta (the strands have “cross-linked”). Add some oil first, and the noodles will stay slippery longer. In our UV-curable resin, we have the equivalent of this oil… a special oil that can be zapped into extinction when it’s hit with UV light. Kill the oil, and the noodles stick. In multi-jet printing, an entire layer is laid down and zapped all at once. In another process, “stereolithography” (aka “SLA”), a UV laser plays across a pool of the same type of resin, selectively hardening the resin wherever it hits. Now, it’s standard practice in SLA printing to place the freshly printed parts in a UV booth for “post cure”, because the original laser zapping doesn’t fully cure all the resin in the target volume (a few hours in bright sun can do the job too). Hmmm… to my knowledge, Shapeways doesn’t post cure their multi-jet parts, so it seems to me there’s a risk that these parts could contain uncured resin which can leach out over time… and THAT can’t be good for paint! I was originally blaming another detail of the multi-jet process for my paint woes. These liquid droplets in each layer won’t just hang in space, for example where the part has an overhanging feature. So in each layer, the print head lays down a bit of soft wax wherever the resin isn’t. The next layer’s overhanging resin droplets go on top of this wax, and are supported until they get fused. After printing, this gooey wax (it’s a lot like bacon fat) has to be removed… and Shapeways is not always perfect in doing this job. So it’s up to us to scrub off the last traces of wax, using solvents and/or aqueous cleaners. BTW, you’ll see some surface finish variations on your FD parts. Why? It’s the wax… surfaces “on top” don’t touch the wax, and can appear almost glossy clear. Surfaces in contact with the support wax have a frosty appearance after cleaning. This frost can be scraped or sanded off to improve the finish. But anyway, I would clean my parts, even using a ultrasonic cleaner, and still my enamel wouldn’t cure. What’s with that? I then found that water based acrylics WOULD cure, so I’ve recommending that ever since. The plastic is an acrylic too, so this seemed to make sense. Then I made a part that had a printed FD part attached to a brass tube. After painting with a flat grey acrylic, I saw that the paint on the printed part was staining, like it was getting wet, while the paint on the brass tube still looked dry. Again, what’s with THAT? That’s when I started to suspect non-fully cured resin. For my latest batch of parts, I placed everything under a UV-A lamp (15W fluorescent tube, used for exposing PCB patterns) for an hour. Then everything was cleaned as usual to remove any wax, and painted with spray can enamel primer. It cured, and it’s sticking. Magic! 1. Your Frosted Detail parts from Shapeways may contain uncured resin. Finish the cure with an hour under a UV-A lamp, or a few hours out in the sun. 2. Follow up with a thorough cleaning, using a solvent or aqueous cleaner (like Simple Green). 3. Then paint with the paint of your choice (even lacquer!). Frosted Ultra Detail parts from Shapeways, post-cured, cleaned, scraped, and ready to paint. Model after priming in enamel, and finished with acrylic. 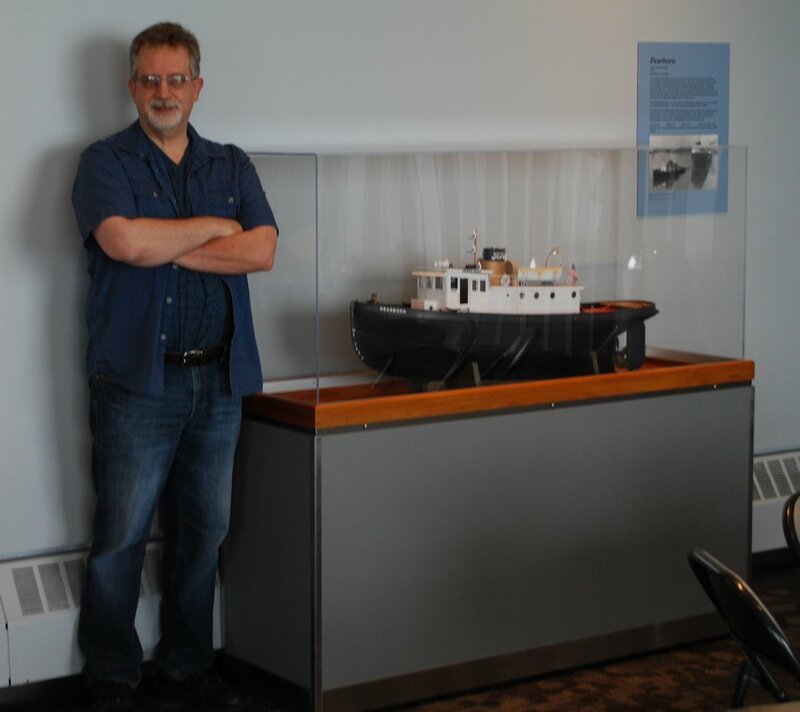 My big model of the little tugboat “Dearborn” (seen in the header here), has been donated to the Dossin Great Lakes Museum. Since the museum rotates their model ship exhibits, I have no idea how long she will be on display… but she just went into the exhibit in June 2015. Better here than hiding in my basement! It’s a little bit sad to give up the model, but it takes up a lot of space at home, where it’s usually just hiding in the basement… I just don’t take the big R/C models out as often as I’d like! 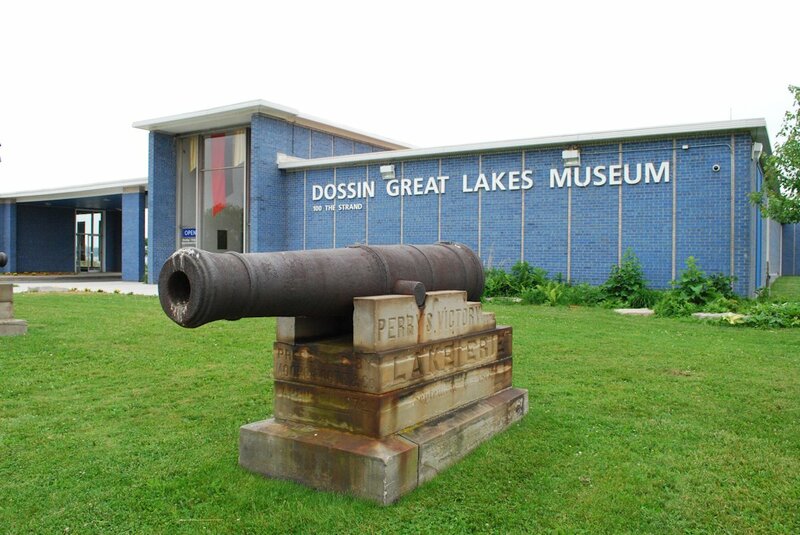 Dossin is a great home for her, as the museum on Belle Isle in the Detroit River is just a few miles from the site of the Great Lakes Engineering Works, the yard which built her and other famous ships, such as the Edmund Fitzgerald.